Hot summers in Shady Shores and chilly winters mean that you need to have steady heating and cooling in your home. When you run into a problem with your HVAC system, Cote’s Mechanical is here to assist you. Whether you end up needing to have a new cooling system installed or just need repairs for your heating system, our technicians are ready to help you out. At Cote’s Mechanical, we offer the best A/C and heating services in Shady Shores for residential and commercial customers. With our help, you can depend on having a comfortable home or business interior all year long. Your heating and cooling system was a major investment for your home, so we understand how important it is to keep it up and running as efficiently as possible. When it’s time to have a new HVAC system installed or when you need repairs, the team of licensed technicians at Cote’s Mechanical can help. We install and repair traditional and ductless air conditioners, gas and electric furnaces, heat pumps, and other types of heating and cooling systems. 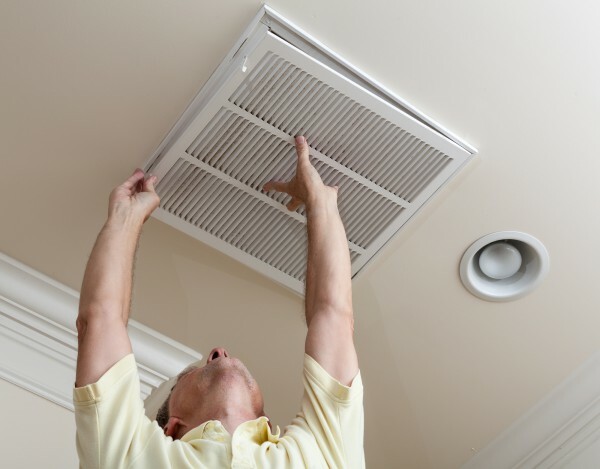 Our team is also available to perform routine maintenance on your HVAC system. This service ensures that your system operates at maximum efficiency and helps us find problems with your system early. We also offer replacement services for HVAC systems, as well as ventilation and attic insulation. With more than a decade of experience providing customers with HVAC services, Cote’s Mechanical remains strongly committed to excellent customer care. Ever since we opened in 2001, we have been working hard to ensure that customers in the Shady Shores area have dependable heating and cooling services and technicians that they can fully trust. Co-owners Cote and Kristi Wyatt have formed a solid team of more than 40 employees who are all dedicated to providing Shady Shores customers with timely service. Our devotion to exceptional service hasn’t gone unnoticed. Online reviews have frequent mentions of just how quickly our technicians arrive to handle unexpected repairs for broken air conditioners in the middle of summer. Our customers love that they can count on us for immediate service when they need it. Our company has also received notable accolades from Angie’s List, the Better Business Bureau, and other national organizations. Angie’s List awarded us with a Superior Service Award in 2016, while the BBB has given us an A+ rating and accreditation. The Air Conditioning Contractors of America has also accredited our company, and we have received certification as a Trane Comfort Specialist. The Town of Shady Shores has an average household income that is higher than the average household income in Texas and the U.S. Residents earn roughly $101,477 on average per household compared to the state and national averages of about $55,000. The average home price in Shady Shores is about $285,000, which is quite a bit higher than the average home price of around $142,000 in Texas and around $184,000 in the U.S. There are around 2,900 residents living in Shady Shores, which is located conveniently close to major cities. Denton is about 15 minutes via I-35E N, Dallas is about 45 minutes away on I-35E S, and Fort Worth is about 50 minutes away via I-35W S.
Shady Shores is a quiet town on the shores of Lewisville Lake. Residents who own a boat can use Big Sandy Boat Ramp to glide along the lake waters or reach Big Sandy Park. Scenic views of Shayhan Point cliff are available in this part of town. Those who have a horse and are interested in training can visit Winter Oaks Stables. Shady Shores might not have local restaurants around, but residents can easily find a wide range of options in neighboring towns. Residents who are interested in volunteering in Shady Shores in order to give back to their community have many opportunities available. The town looks for volunteers to assist at the craft show and other community events. Other volunteer opportunities include Keep Shady Shores Beautiful, Town Council, Lake Dallas Public Library, and the Planning and Zoning Commission. If you live in the Shady Shores area and need help with your HVAC system, contact Cote’s Mechanical for service. Our professional HVAC technicians can install a new system, repair the one you have, or replace parts of your system. We offer heating and cooling services for homeowners and commercial property owners throughout the Shady Shores area. Great experience. Prompt and very informative Fix our issue quickly. Replaced capacitor and added refrigerant. Unit is now cooling again.